I had the opportunity to drive alone for two hours today. It gave me ample time to think about what really matters to me, what I want out of life, and sing to my Van Morrison station. I mostly thought about this blog. And how the last few months of writing have been therapeutic. Lately, I want to share everything with the world. My struggles, my deep and random thoughts, what brings me life, my small acts of bravery. I hope the more authentic and vulnerable I am the more I can be an inspiration of bravery, and in turn, you’ll tell me your stories and inspire me. I want that kind of community. Or at least an understanding and supportive word every once in a while. Sometimes I think I am the most cowardly person. 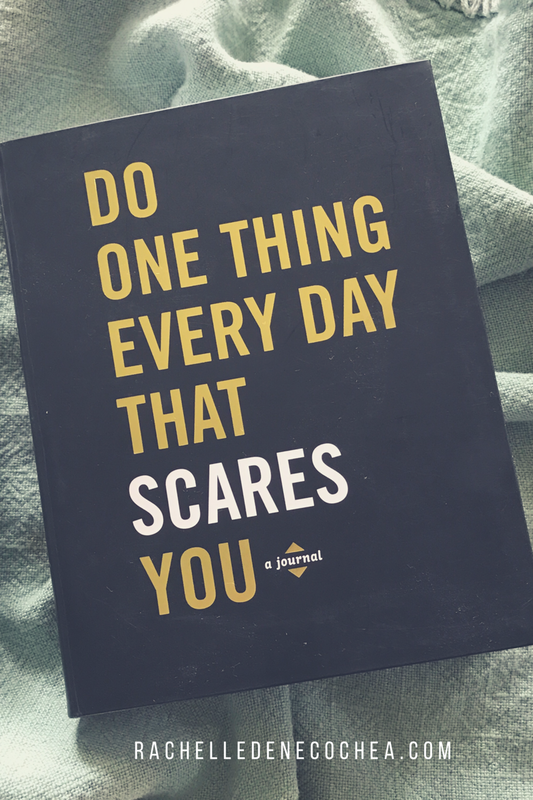 I bought a little diary recently called Do One Thing Every day That Scares You: A Journal. I’m supposed to perform one act of courage daily. I have failed. But It keeps me wondering what it would look like if I stepped out of my comfort zone. The conclusion I always come back to is life–real, and gritty and down and dirty and wide open–sounds fabulous and scary and sometimes rebellious. Ha! How about: Acts of Rebellion. But what does acts of bravery mean, exactly? Bravery looks different to every person, I suppose. For me, it means so many different things. But mostly it’s my heart’s willingness to peek out of the curtains and see a life of possibility. To allow my heart to take in this sunshiny world of wonder and awe. A world where mistakes don’t mar you forever, but become badges of honor of a life lived in vulnerability and courage. A world where mistakes transform into stepping-stones leading to fully realized dreams. A world of holding hope in cupped hands and releasing it to flight, watching as it takes to the sky on fledgling wings. Watching as hope swells, swells in my heart beyond overflowing with passion and contentment. This. Only this, can be a life of bravery. Because living wide open, arms flung out ready to embrace whatever life may bring–joy and contentment, sorrow and pain–is what life is. This life, this moment, this world is mine. Fully and completely mine, and I want it. I want the fullness of life on my lips, the sweetness of life in my soul. Nothing else will do. My challenge, my gift to myself, this year is to be brave every day and to document it here on my blog and on my Acts of Bravery Facebook page. Hiding is one of my main talents. When I get overwhelmed, feel exposed, or have a rough day all I want to do is pull on my yoga pants, curl up in a blanket on my couch, ignore reality, and escape into a book. What better way to stop hiding than to share my acts of bravery with you in an open forum? (Brave scale: 8). So, come on mistakes, come on hope, come on unrepressed emotion, come on bravery, we got this. One day at a time. Want to join me? 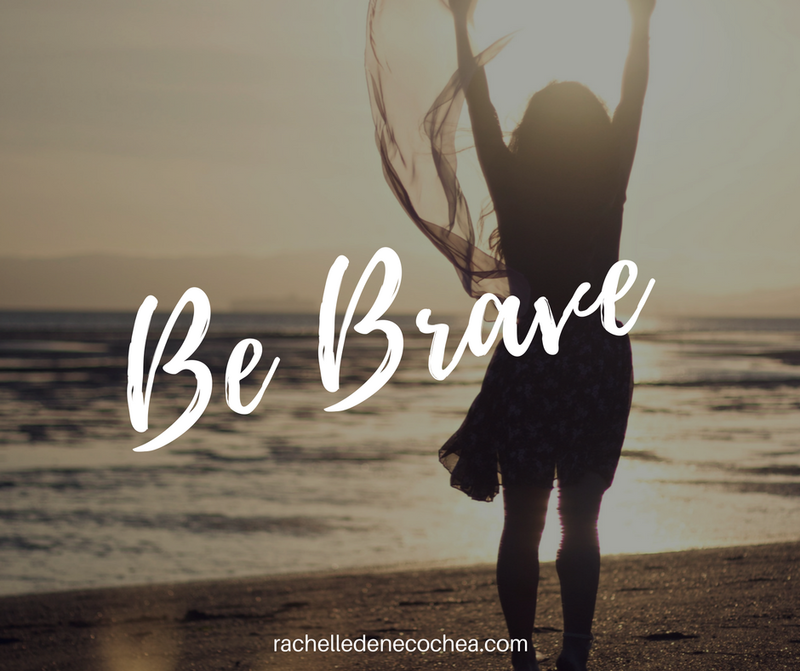 Take the first step and like the Acts of Bravery page, then post your challenge (first act of bravery!). I can’t wait to cheer you on!